We are pleased to announce our Education Advocate of the Month for November: Patty Shastany. 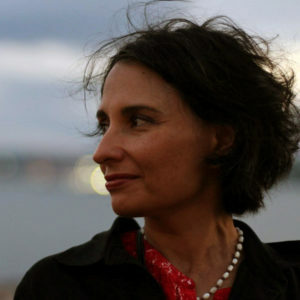 Read about her advocacy for early childhood education. We are pleased to announce our Education Advocate of the Month for May: Maite Cruz. Read about her advocacy for increasing expectations of success for her community. 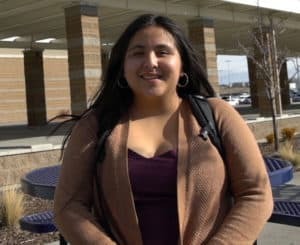 18-year-old Maite Cruz is a senior at Chiawana High School in Pasco, and plans to study political science this fall at Western Washington University. 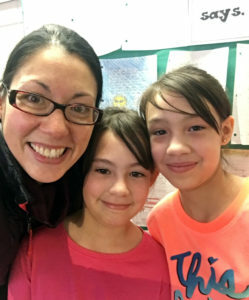 Already she has testified before the state legislature in Olympia, testified before the State Board of Education, and has been a tireless advocate for her community group, Ambassadors of Lakeview Achieving Success (ALAS). 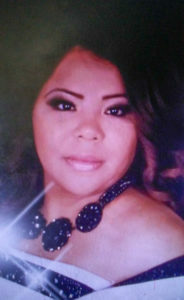 We are pleased to announce our Education Advocate of the Month for February: Brenda Yepez. 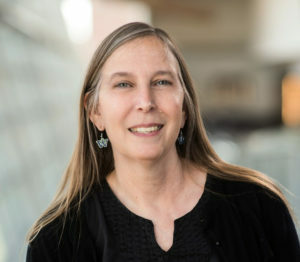 Read about her advocacy for English Language Learners. Brenda Yepez is one of the founders of a student group called the Ambassadors of Lakeview Achieving Success (ALAS), which began her advocacy journey. Brenda attended our Tri-Cities Student Legislative Roundtable in December, where students spoke with legislators about their community work, and she testified at the State Board of Education January meeting to ask for additional supports for English Language Learner (ELL) students. 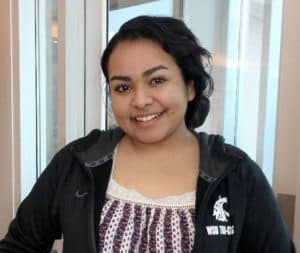 In addition to advocating for the Dream Act in Washington D.C., Brenda herself is a DACA student attending the Washington State University Richland campus. We are pleased to announce our Education Advocate of the Month for January: Nikki Lockwood. Read about her advocacy for students with special needs. Nikki Lockwood has served as the lead on parent organizing for the Every Student Counts Alliance (ESCA), a group of advocates, parents, and community leaders seeking to reform school discipline in Spokane, and has worked effectively with Spokane Public Schools to change discipline policies. Parents with students of special needs look to her for advocacy when it comes to their kids. Nikki started school in a private Montessori kindergarten, and her children went through public Montessori. “My parents were teen parents,” Nikki says. “They got divorced when I was 3 years old. I am grateful and impressed that my dad provided that educational experience for me.” She greatly enjoyed the open environment of Montessori, although she remembers wondering in kindergarten what she was supposed to be doing. 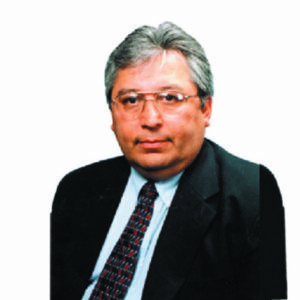 We are pleased to announce our Education Advocate of the Month for December: David Cortinas. Read about his education journey in Walla Walla and the Tri-Cities. While many issues can divide a community, one thing that can bring us together is wanting what is best for our students. David Cortinas, Owner, Editor, and Publisher of award-winning La Voz Hispanic Newspaper in the Tri-Cities community, is a staunch supporter of students. David kept his community engaged in the Campaign for Student Success, which led to the McCleary school funding deal in the 2017 legislative session, and he has consistently shared information to make the community stronger. He was also one of the first Eastern Washington businessmen who took time out of his busy newspaper schedule to visit with representatives and legislative aides in Olympia to ask that education funding goes to the students who need it the most. David became involved with League of Education Voters through Tri-Cities Community Organizer Ruvine Jiménez, whom he has known for over 12 years. They served together on the Hispanic Chamber of Commerce and the Latin Business Association, and worked together on boards and community festivals in the Tri-Cities. David’s parents always encouraged him to go to school. “As immigrants who worked on farms, they constantly told me that I’ll never get an education if I don’t go to school,” David recalls. He attended elementary, middle, and high school in Walla Walla, where he was born and raised, and worked in the fields, harvesting onions and other crops. 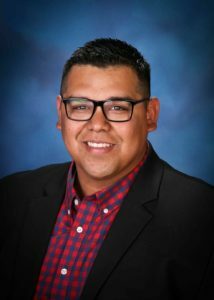 Meet our Education Advocate of the Month for October: Leo Perales. Read about his experience as a strong advocate for equity in the Tri-Cities and beyond. Leo Perales is vice chair of Consejo Latino, he is part of League of United Latin American Citizens (LULAC), and was one of the first community members to join the Campaign for Student Success, the coalition that advocated during the 2017 legislative session for education funding to go toward the students who need the most support. Since 2015, Leo has worked continuously with League of Education Voters Community Organizer Ruvine Jiménez. He is involved in forums and events encouraging community activism to improve the quality of life in the Tri-Cities. He currently manages The Perales Report Facebook page. Leo was born and raised in Kennewick, Washington, the grandson of migrant workers, and the son of Jennifer and Lloyd Perales, who have family ties to the lower Columbia Valley. He graduated from Kamiakin High School in 2005, and later transferred to Columbia Basin College and eventually Heritage University, where he received his Bachelor’s degree in 2012. We are pleased to announce our Education Advocate of the Month for September: Candace Harris. Read about her experience as a strong advocate for early learning in rural Eastern Washington. 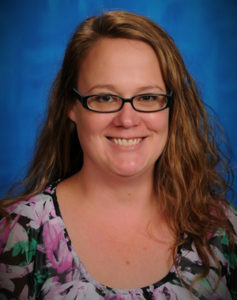 Candace Harris is Director of the Valley Early Learning Center, part of the Valley School District about 45 miles north of Spokane. Because Valley is a rural school district, many of the families live in poverty. Representing rural Washington, Candace attended the Education Vision Project that League of Education Voters convened in March, where stakeholders from the Spokane region envisioned what our education system could look like. Candace has a passion for working with kids and understands the importance of teachers receiving the training they need to engage students with Adverse Childhood Experiences (ACEs), and she would like to see Social Emotional Learning (SEL) incorporated into school practices. At the League of Education Voters (LEV), we recognize all of the hard work that you do toward improving public education across Washington state. We are pleased to announce our Activist of the Month for June: Miguel Lucatero. Read about his experience as a strong advocate for Latino parents in the Tri-Cities. 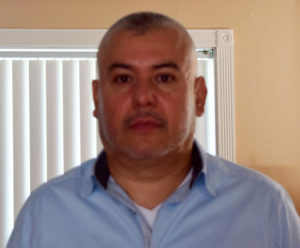 Miguel Lucatero is a licensed home child care provider since 2001 who is participating in the Early Achievers program. He is also the parent spokesperson for Padres de Familia Preocupados por la Educacion y el Exito de Sus Hijos (Parents of Families Concerned for the Education and Success of their Children). In March 2016, a group of Tri-Cities parents met to exchange ideas and find out which kinds of problems they were experiencing in the education system. From there, the parent group Padres Preocupados por la Educacion y el Exito de Sus Hijos was born, and they have continued to meet monthly. Last month, Mr. Lucatero wrote a letter to the Washington State Board of Education outlining the problems faced by his community, particularly the loss of tutoring services provided under the No Child Left Behind Act (NCLB) when the Every Student Succeeds Act (ESSA) planning stages began.